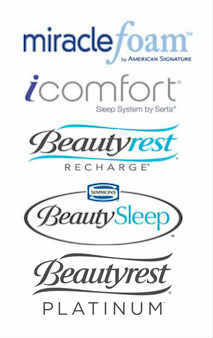 Melt into these plush cushions as you unwind after a long day. Product Description Warmth and Contentment. 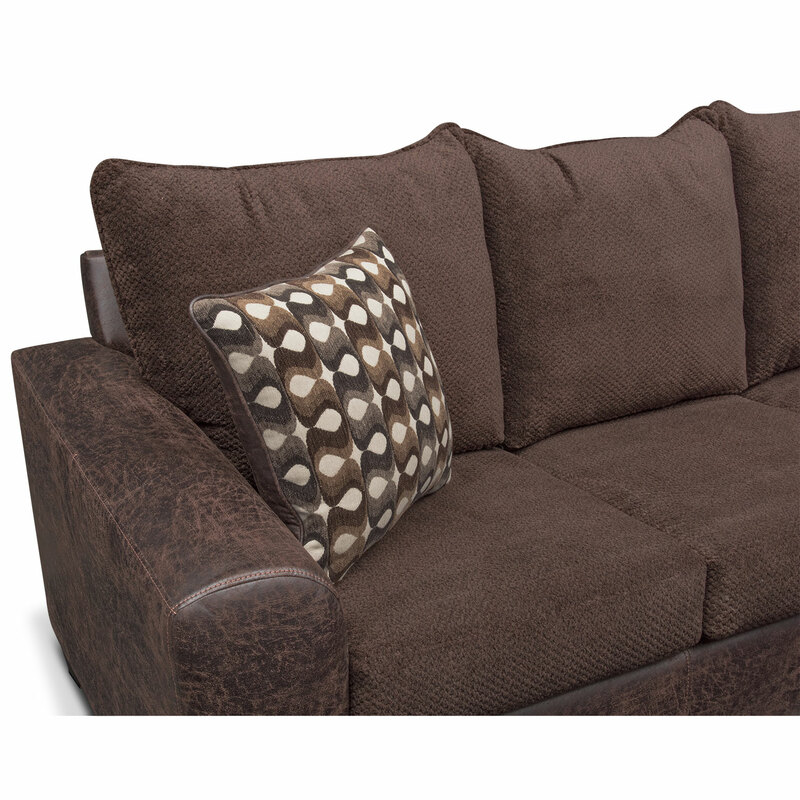 The contemporary Brando living room collection in rich, chocolate brown fuses comfort and style, while adding excitement to any living room décor with its contrasting textures and plush comfort. 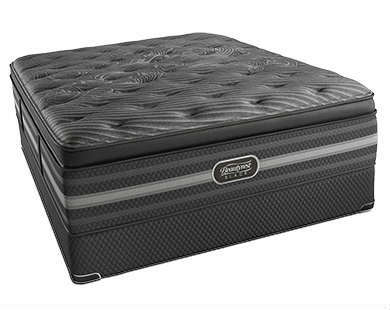 Featuring oversized, supportive cushioning surrounded by soft upholstery, the base adds a touch of finesse with its leather-like texture. 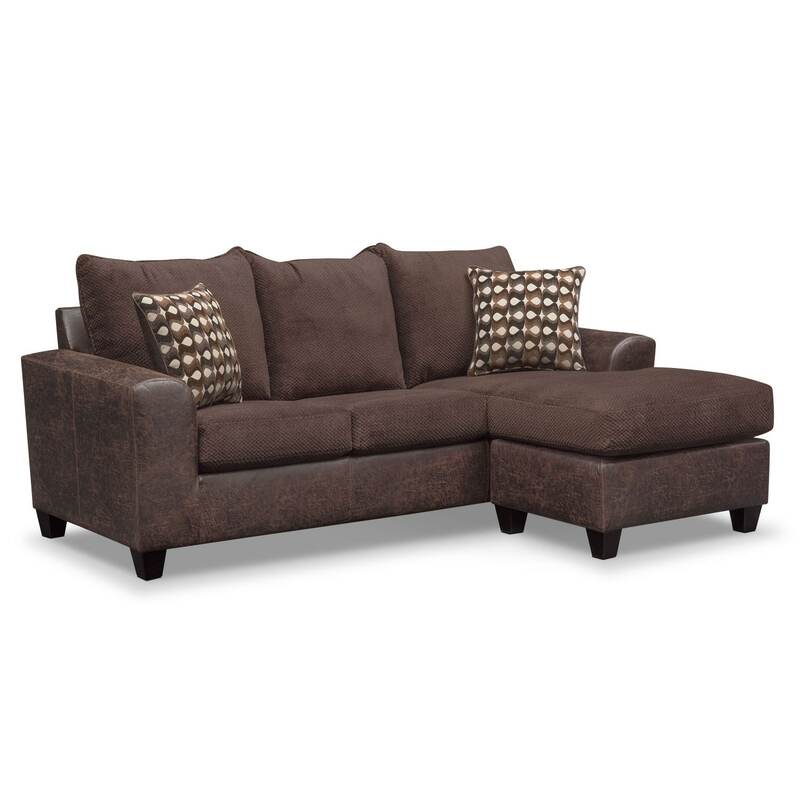 Oversized, square sloped arms and relaxing cushions give you the comfort and exceptional seating you deserve. 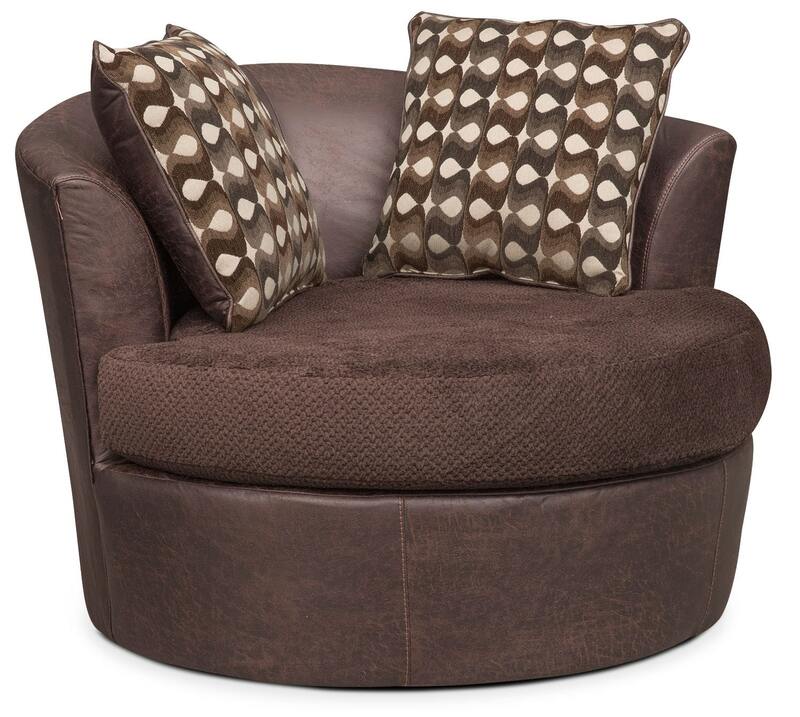 Geometric-patterned accent pillows and a hidden swivel function put the finishing touches on this trendy furniture. Unique Features: Stylish, trendy geometric-patterned accent pillows add movement and interest. 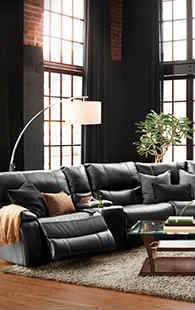 Deep-seating provides relaxing place to unwind. 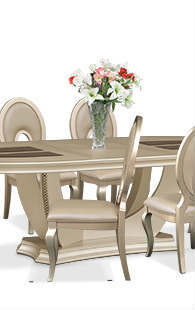 Removable legs add ease in moving furniture without scratching floors. 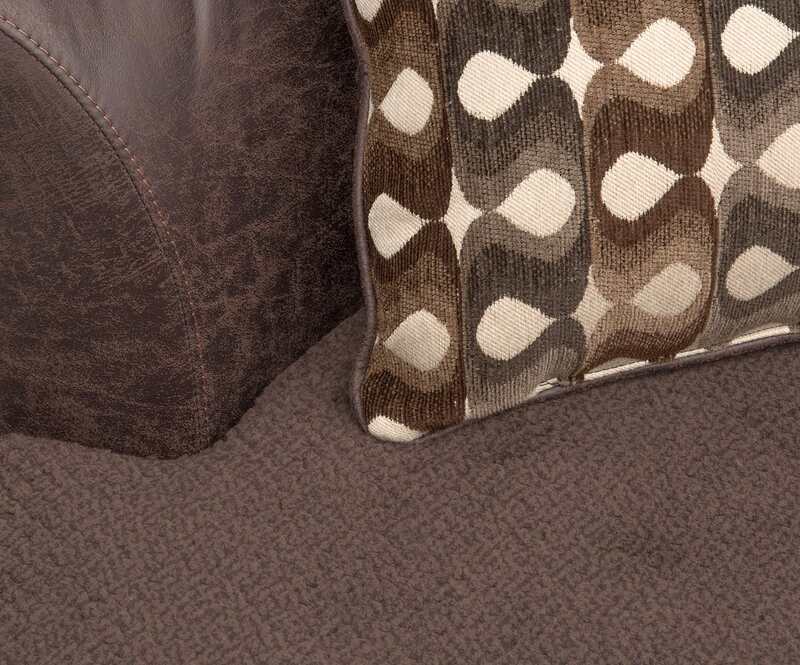 Silky, soft cushion fabric contrasts with edgy leather-like fabric on base. 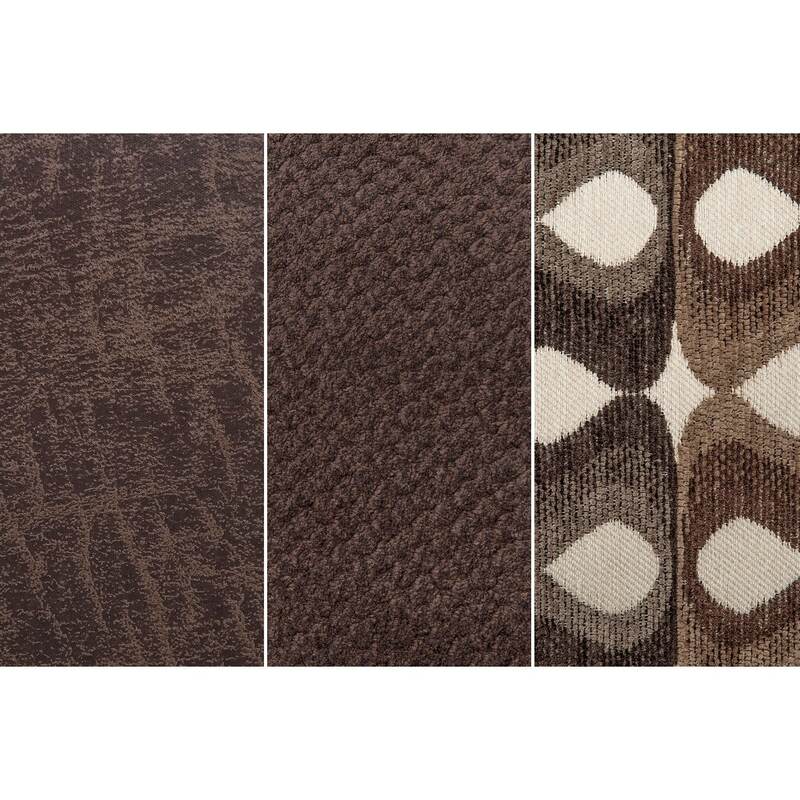 Warm, chocolate brown fabric easily matches any room’s décor and color scheme. 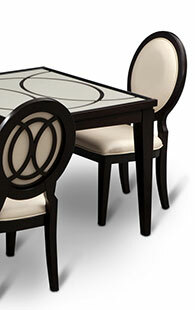 Hidden swivel under chair’s base and rounded frame add a touch of fun to any room. Construction: Oak frame construction provides durability against daily wear and tear, ensuring a long product life. 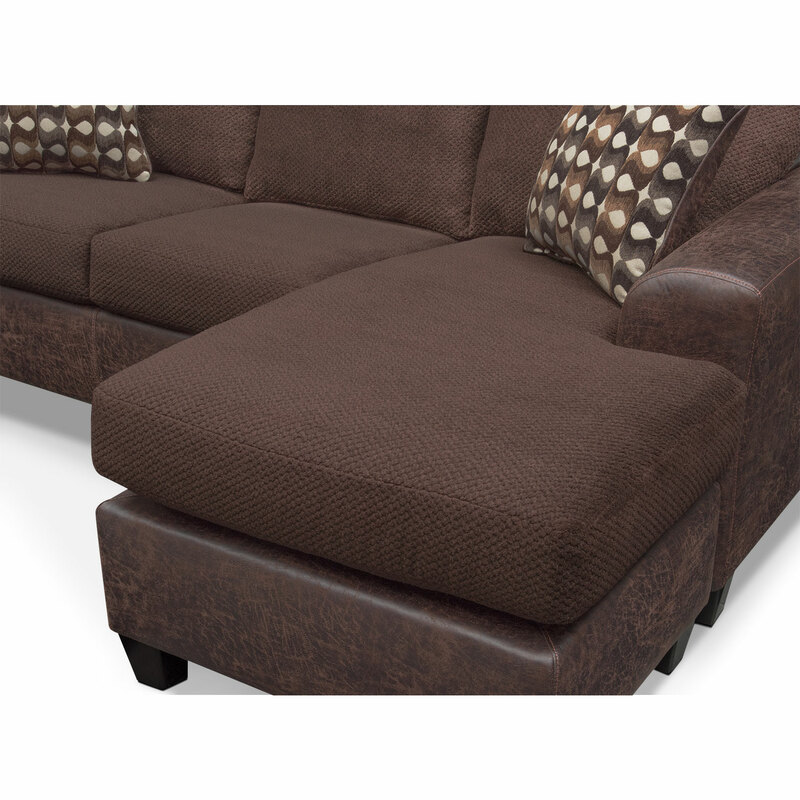 Cushions: Dacron-wrapped cushions with polyurethane foam ensure comfortable seating. Pillows: Swivel chair includes two back pillows. 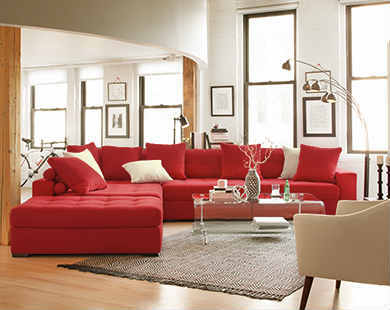 Sofa includes two accent pillows and three back pillows. 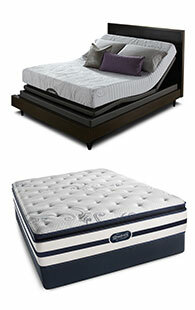 Springs: Sinuous wire springs prevent sagging.